MAKE YOUR HOME MEMORABLE THIS SPRING! If you want your home to sell fast in Toowoomba's current property market, it needs to stand out from the crowd! Fortunately, a few touches to your home can go a long way in making a large and lasting impact on buyers! If you're thinking of getting your home prepped for sale this Spring, here are a few 2018 spring/summer styling trends to guide you on your way! This year, we've noticed kitchens are already starting to move away from the all-white finish! Cabinetry has personality and character, providing a bold statement to the heart of the home. Colourful kitchen cabinets is the simplest way to make your home impactful and memorable! But you don't have to go too bright with the colour selection. Neutral colors are big favorites in the kitchen, with tones like grey, soft and emerald greens, black and navy giving the kitchen a high-end allure many buyer desire. Stone benchtops are still proving very popular, however trends indicate that 40 or 60mm thick stone bench tops are slowly going out of fashion, with thin benchtops taking its place. Another popular choice is the all-black kitchen, which offers a modern and elegant look. Black is the new neutral in 2018! Whilst the Scandinavian trend has proven popular over the last few years, furniture is now moving towards darker and richer wood tones, offering a new take on modern luxury. There has been a massive shift from the bleached and whitewashed woods to a more darker tone; creating a warm, glamorous and comfortable feel to every room. 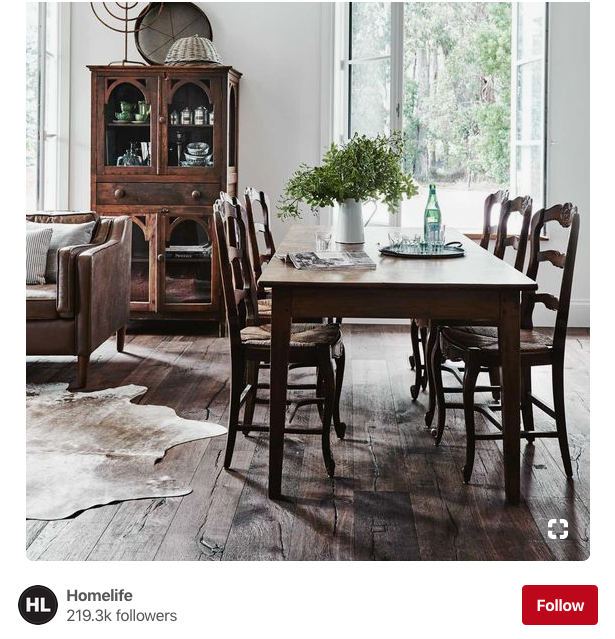 Dark wood will also be present on floors and walls, so don't wait any longer to get on top of this trend! It's often said that art can make or break your decor. Large wall art can have a dramatic effect on the feel of your home, and it's a risk that is certainly worth considering for your home. A striking wall art looks spectacular in many spaces of a home, and adds a focal piece that etches in people's minds for many years to come. Wall art is the one piece that doesn't get lost among the furnishings and other decor items. Better yet, if you're having trouble trying to tie your chosen colours together, a wall print can become your immediate solution. In fact, scientists have claimed that not only is looking at art immensely pleasurable, but it mirrors the act of falling in love. Now that sounds like a great way to make a buyer fall in love with your property! The front door is one of the first things buyers will notice about your home. First impressions have a lasting impact on buyers, which is why statement doors are so important. Adding a new or fresh coat of paint, new hardware or a welcoming door mat, will make the entrance appear far more warm and inviting. When it comes to the colour selection, bright or bold colours will make an impact and get your home noticed as people pass by. 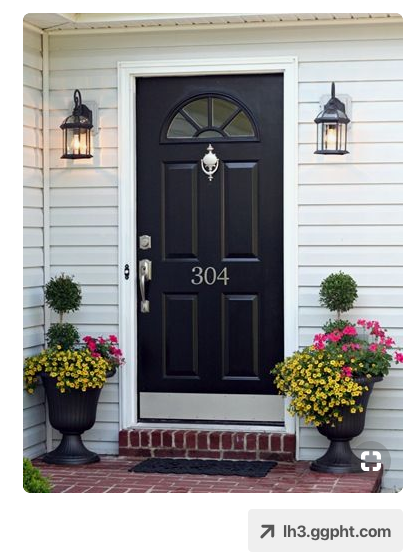 Black is also a very popular choice for exterior doors. But it doesn't have to stop there! Painting interior doors can also add character and charm to any room. In 2018, colour isn't only limited to the walls, doors and floors. 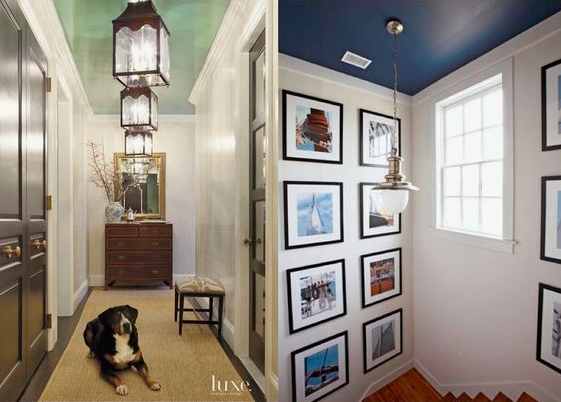 A new way to transform a room this Spring is to paint or decorate the ceiling, making it the standout feature of the room. Vibrant colours are a popular choice this year, however steer clear of strong or dark colors that may make the space look smaller. Whilst painting the ceiling will bring a sense of drama, wallpaper will turn on the romance. Geometric patterned wallpaper and a dash of metallic are popular wallpaper trends that are extremely eye-catching!. Exposed beams also help to take your decor to the next level. The most simple way to bring your home to life is by adding some humble houseplants. Whilst indoor plants have been a popular trend for years, the current plant trend is a more vibrant and patterned one. Patterned foliage is now considered as a living work of art for the home. Splashed and spotted with colour, there are many plants on trend that look as though someone has taken to the leaves with a paintbrush. If you're looking for a striped pattern plant for your home, your best bet is the Calathea Ornata, or the Caladium. If you're after a polka dot pattern, the Begonia Maculata Variegata is a popular choice and works well in any contemporary home. The best home for your plants are the bathrooms, living rooms and the alfresco areas.